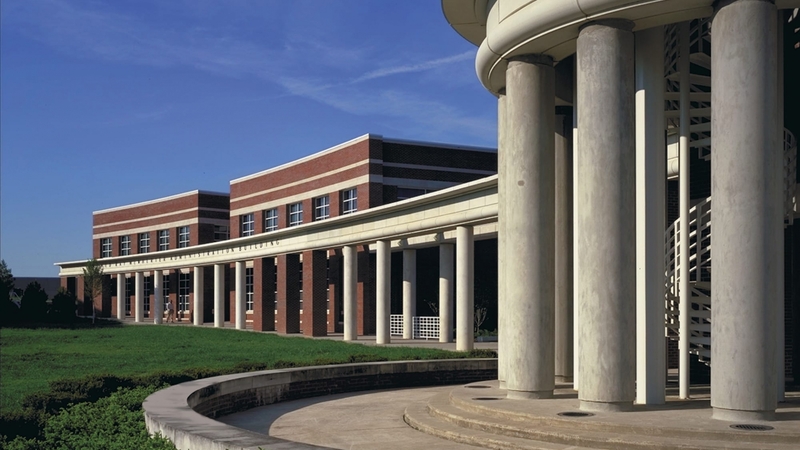 This project implemented the final stages of a phased master plan for Tennessee State University’s Ned McWherter Administration Building, which included plans for a plaza that links the administration building with the university’s student center. Develops a focal point unifying and completing the campus masterplan. Administration Building blends harmoniously with adjacent buildings with a three story atrium and a bridge linking upper level offices and support areas. Brick and banding details repeat established architectural detailing of the student center. Dual entries acknowledge the slope of the terrain and varied arrival points. Presidential and vice presidential offices have expansive views and vistas of the campus center. The 24,100 square foot facility cost $3,100,00 when completed in 1996.